The Experienced Officer Program offers qualified applicants the ability to join the Metropolitan Police Department (MPD) through an abbreviated (approximately 11 week) police academy training program, based upon their prior law enforcement training. The police officer background investigation process can take approximately four to six months. To qualify for the Experienced Officer Program, applicants must take a general law enforcement knowledge test to ensure members' basic law enforcement knowledge and proficiency. Should an applicant be unsuccessful in passing the examination, they may continue in the application process as an entry-level police officer and will complete the full Metropolitan Police Academy upon hire. Study and preparation materials are available upon request. Pass the written multiple-choice test (select "Experienced Officer Program" option). Visit www.nationaltestingnetwork.com to apply and select a testing location. Pass the Experienced Officer General Law Enforcement Knowledge and Proficiency Examination. Complete the Personal History Statement through our online system “eSOPH” to begin the background investigation process (criminal checks, references, employment, social media checks, etc.). Submit to a medical and psychological evaluation. Receive MPD review and approval. *Experienced Officer Program starting salary is $58,133, and after successful completion of the 18 month probationary period members earn $63,636. Recruits begin earning their full salary upon entering the Academy. A top step officer can earn $106,742. Officers who work the evening tour of duty receive a three percent pay differential. Officers working the midnight shift receive a four percent differential. **Police officers who are certified as fluent in any language other than English, including American Sign Language, receive a $50 stipend per pay period approximately an extra $1,300 per year. To qualify for the stipend, members must pass a certification test administered by an outside contractor. Visit the Benefits page to learn more. Currently or previously employed within one year of the date of application by a full service police department in a municipality or a state within the United States. Never fired or have any sustained adverse actions from current/former law enforcement agency. Served at least three years in a full-duty status with a full-service police department in a municipality or a state within the United States, and have resigned or retired in good standing. Please click here to view our questions, answers and FAQs.  ...a police district to be called the “Metropolitan Police District”. The newly elected President, Abraham Lincoln presided over the creation of this new police department. Washington, DC was divided into 10 precincts; each headed by a sergeant with 150 privates divided among the precincts. An officer’s salary was $480 a year and they had to be at least 5 feet 6 inches tall, able to read and write, between the age of 25 and 45, and were required to provide their own guns. ...MPD intercepted John Wilkes Booth during his first attempt to assassinate President Lincoln at the inauguration of Lincoln’s second term. ...In 1917, the Women’s Bureau of the MPD was created in order to give women a more active role in investigating. The Bureau became nationally recognized for its proactive ideas and methods. ...bicycle squads and by 1914, five “motor patrol” wagons were purchased. In 1915, the first police school was established to train officers in using their firearms and basic first aid. ...keep young men out of trouble and provide them with positive role models, and the club still exists today as the MPD Boys and Girls Clubs. The club was such a success that other cities quickly followed in the footsteps of the MPD. ...first deployed on October 31, 1951 with the original responsibility to guard fire alarm boxes to prevent people from mischievously sounding fire alarms on Halloween Night. In 1962 Officers began to patrol and monitor traffic in a private helicopter. In 1966 the first cadet class graduated. ...force the closure of the Government. This was the largest mass arrest in history with a total of 12,000 people arrested. Due to the professionalism and effectiveness of the MPD, there were no serious injuries to police officers or protestors, no use of deadly force, and very few complaints of misconduct. ...He was a very community minded person, having been a native of Washington DC and having attended American University and Howard University. His tenure saw a reduction in crime while also dealing with restrictions due to the energy crisis and threats of personnel cuts. ...revolvers to the Glock 9mm pistols after Washington DC was named the Nation’s Murder Capital. ...They were changed from the blue stripe and gold seal of the 1960s, to a red and blue striping that is still referred to as the Pepsi can design. ...returned (original disbanded in 1996 due to budget cuts) along with a small cadre of horse-mounted officers. ...the art communications center located on Martin Luther King, Jr. Avenue in Southeast. ...in January 2007, replacing outgoing Police Chief Charles H. Ramsey. She was the first woman to achieve the position of Chief of Police in Washington DC. In May 2012, Mayor Vincent C. Gray agreed to retain Lanier as police chief under his mayoral term. Chief Lanier lead the Metropolitan Police Department until she retired 2017. Chief Lanier was a great advocate for women in law enforcement and brought great technological changes to the MPD. She was well known for her passionate involvement with the community. ...Safety Zone” the replacement of in-car systems equipped with GPS. ...Building 197 at the Washington Navy Yard, where he served as an independent contractor, and carried out the most deadly workplace mass shooting in the Nation’s Capital in recent memory. Over the course of 69 minutes, Alexis terrorized thousands of employees of Naval Sea Systems Command, firing indiscriminately from a shotgun he had legally purchased two days earlier and a handgun he had taken from a security guard after mortally wounding the guard. He would also get into multiple shooting engagements with responding law enforcement officers, seriously injuring a Metropolitan Police Department (MPD) officer. In his final confrontation with police, Alexis ambushed and fired upon another MPD officer. Fortunately, the officer was saved by his protective vest and was able to return fire, killing Alexis and ending his rampage. When it was over, Alexis had shot and killed twelve people and injured several others. Chief Peter Newsham was confirmed as the Chief of Police on May 3, 2017. Chief Peter Newsham joined the MPD in 1989 and rose quickly through the ranks, serving in a number of district operational assignments. Chief Charles H. Ramsey promoted him to Commander of the Second District in January 2000. In June 2002, Newsham was promoted to Assistant Chief in charge of the Office of Professional Responsibility (OPR). Chief Newsham was sworn in as the 30th police chief for the MPD on May 3, 2017. Chief Newsham holds a bachelor's degree from the College of the Holy Cross and a law degree at the University of Maryland School of Law. He is a member of the Maryland Bar.